Gilbane has a long-standing commitment to building winning partnerships with the small and diverse business community. We believe the culture of inclusion that supports the input of all leads to better outcomes. 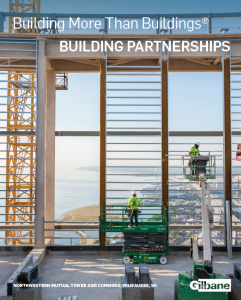 Gilbane’s outreach and engagement strategies go beyond meeting mandated goals and aims to become deeply embedded in the fabric of each communities in which we work, live and play. We strive to empower residents to secure and retain living wage jobs and careers, while helping subcontractors hire and retain qualified local resident employees. Through partnership and collaboration, Gilbane embodies a commitment to innovation and pushes forward to making a difference in local communities. Gilbane is committed to building a stronger economy and believes that supporting local and small businesses is an essential component. The creation of opportunities yields a net boost in employment, productivity and income. This fuels business growth and local economies are more sustainable.